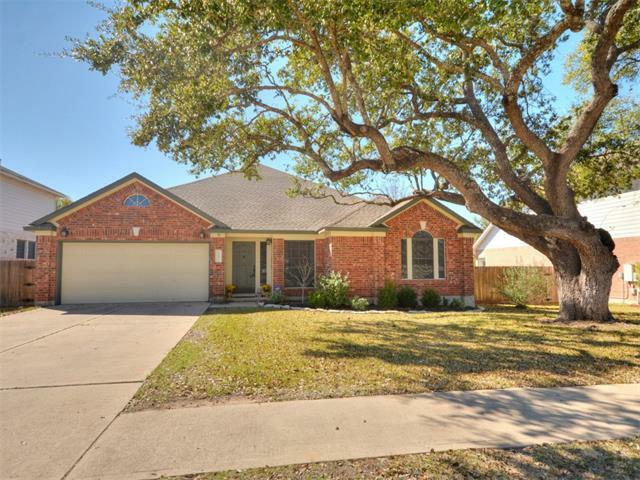 Gorgeous 1 story home w/ majestic Oak tree. Airy open floor plan w/ 3 bdrm + study and tasteful upgrades. Breathtaking entry opens to formal dining & spacious living room w/ cozy corner fireplace. Kitchen boasts center island, cook top, vented microwave & built in double ovens. Mother in law plan. Over sized utility room. Sprinkler system. Walk to Pauline Naumann Elem& park. Tree filled street. Truly a must see!